Once upon a time, long before there were narrowboat holidays, I can imagine that working boatmen may have gathered their families around the cabin stove on All Hallow’s Eve, and told ghostly stories by lamp-light. Here are seven creepy towpath tales to share beside the fire this Halloween. Interested to find out more, I read a book called ‘Ghosts of Tring’ that reported that a child was once walking along the towpath in Marsworth with her grandmother “off the barges”. A perhaps more famous ghost story on the canals is that of the Blisworth Tunnel. This tunnel, on the Grand Union at Stoke Bruerne, is a mile and three quarters long. During its construction the tunnel caved in and fourteen men died. Boaters claim to have seen the shadowy ghosts of these poor navvies and even some say, that when travelling through by boat you may see an alternative tunnel (the one that collapsed) leading off at a tangent; invitingly lit by candlelight. 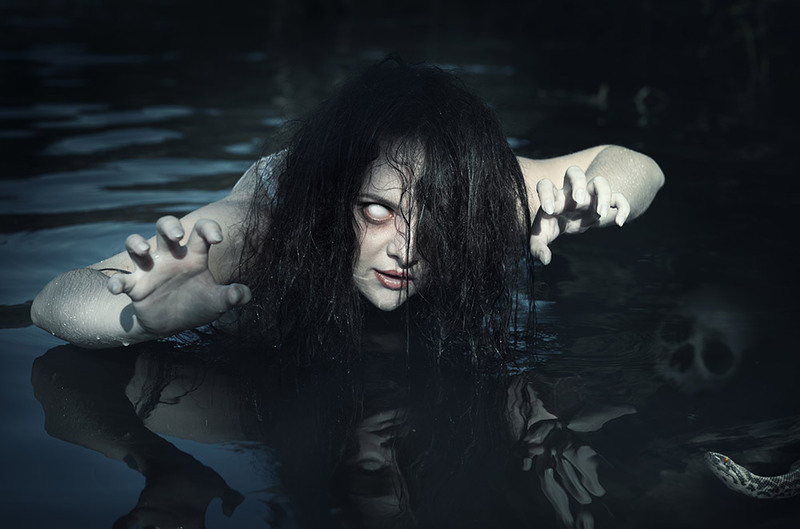 Apparently The Montgomery Canal in Wales is haunted by a Welsh Princess who was buried alive as punishment for running away with her lover. At Rugeley on the Trent and Mersey Canal a blood stain is said to sometimes reappear from a murder in 1839. A narrowboat is the stealthiest way to travel if you are planning a paranormal investigation in historic Cambridgeshire. Check out our Halloween article, How to go Ghostbusting with a Narrowboat to find out what spooks can be found around March, Cambridge and the Fens. Nearby Ely is said to be one of England’s spookiest cities. If you travel by Fox narrowboat, the cruise from March to Ely takes in ancient inns and the murdered ghosts of Southery, plus legends of violence and death surround the Fenland isle of Littleport: Read more in The Spooky Truth About Cruising to Ely. If you fancy haunting the canals yourself next year, be brave and check availability here to plan your next narrowboat holiday!